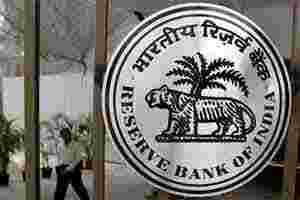 Chennai: Reserve Bank of India (RBI) may consider reversing its tight monetary stance as inflationary woes begin to ebb next month, a top policy adviser said on Saturday. RBI has raised interest rates 13 times since March 2010 in a bid to control inflation, which has topped 9% for nearly a year. However, C. Rangarajan, the prime minister’s chief economic adviser, said headline inflation may remain high for next one-two months after which it is expected to slow down to around 7% by end-March. A cumulative rate tightening of 375 basis points is seen slowing down the domestic consumption driven growth story. But the RBI has refused to lower its guard against inflation and remains the only central bank that continues to tighten monetary policy amid global slowdown. Early this week, the Reserve Bank of Australia (RBA) became the latest central bank to cut rate in response to threats to the global economy from Europe’s debt emergency. India’s slowing economic growth has slowed down tax revenues, squeezing federal finances and putting a question mark on the government’s ability to restrict the fiscal gap for the 2011-12 financial year at the budgeted level of 4.6% of gross domestic product (GDP). Any slippage on the fiscal gap target has the potential of worsening India’s inflationary problem and choking private investment. RBI, which last week signaled a pause in its tightening cycle, has warned of inflationary risks if the government’s deficit for the current fiscal year ending in March exceeds the budget target. Rangarajan, a former RBI chief, said the government should make all possible efforts to keep the fiscal deficit at the budgeted level and consider deregulate petroleum prices once inflation starts slowing down. Government is under fire for allowing a hike in gasoline prices on Friday and is expected to delay a planned diesel price hike for fear the move could cause further damage ahead of key state elections beginning early next year. He also flagged risks to the asset quality of Indian banks from a slowing economy and rising interest rates.